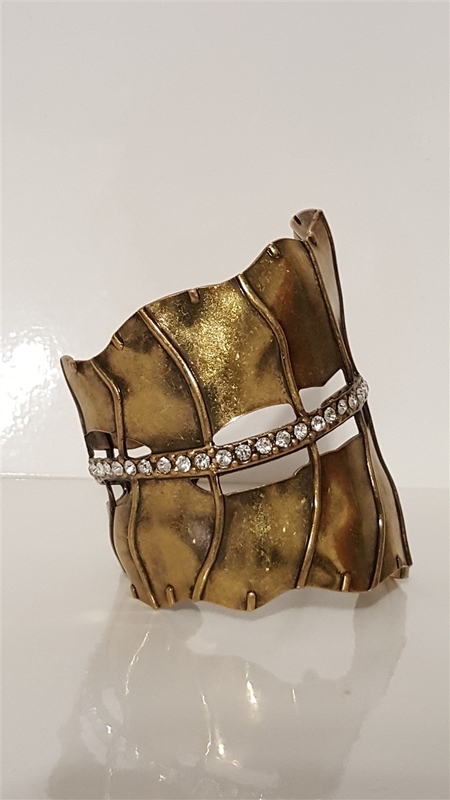 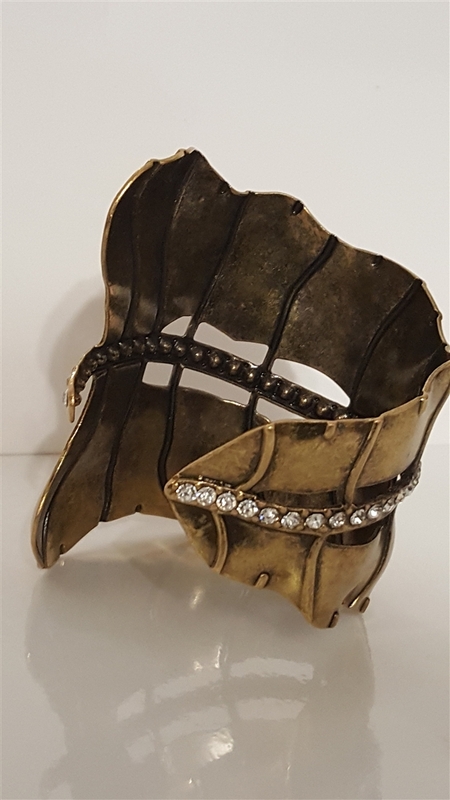 Bold plated cuff. 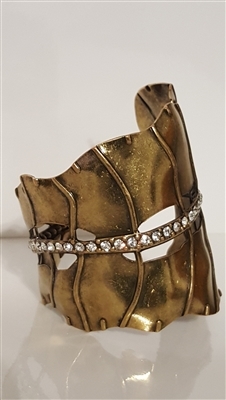 Edgy style with a line of dazzling rhinestones. Truly a trendy piece.